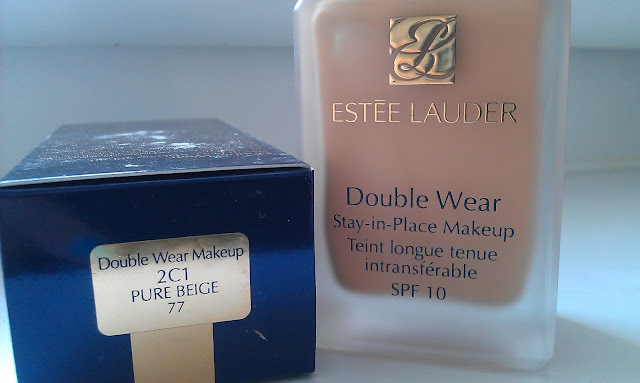 Struggling to find my perfect foundation since my skin changed last year I had heard good and bad things about Estee Lauder Double Wear and decided to get myself a trial. At £27.50 I would hate to purchase a bottle and dislike it so a sample in store seemed the best way for me to properly test this out. I have really oily skin and don't like anything to heavy on my face so I will admit, I was worried to try it but I can honestly say I have found my perfect foundation!! Well at least my perfect foundation of the moment, who knows what the future holds! Ha! This lasts for hours and hours and hours on my oily skin, with powder after a certain point but still, nothing else I have ever used has the staying power like this. Without being too heavy this provides me with the perfect medium to full coverage, so much that I very rarely have to use concealer and since I have acne scars and blemished skin this is an amazing ask! Before purchasing I had heard that this was awful to apply as it dries to quickly but for me, I didn't have this problem. I apply my foundation with a flat bottom brush and do small sections at a time so maybe this is why I didn't come across this problem. My skin always looks flawless when I use this. It's a matte finish which is ideal for me and my oily skin. As you can see my scarring is red but double wear covers it all up nicely! 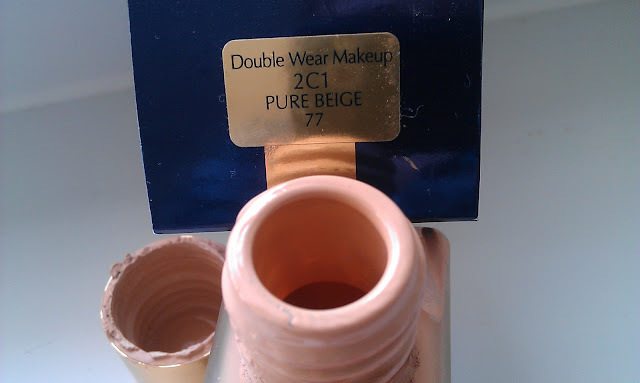 I am shade Pure Beige 77 and I was matched in store. I was worried when I first applied this as it did look at lot darker than any of my other foundations but I got used to it and now if I put on another foundation in a lighter shade I feel it's far to pale, I now much prefer the slighter warmer tone of this, especially when I have fake tanned, it matches perfectly. I purchased this in December and I am finding the past few days I need to wait a bit longer for this to come out the bottle so I think I am nearing the end but for 4 months everyday use, I am happy with this. Like every other person who uses this foundation the only flaw I have is the fact there is no pump! Just now I have to pour it onto the back of my hand and this usually means a bit of waste but given the fact that I love it, I will let this little flaw slide for now! 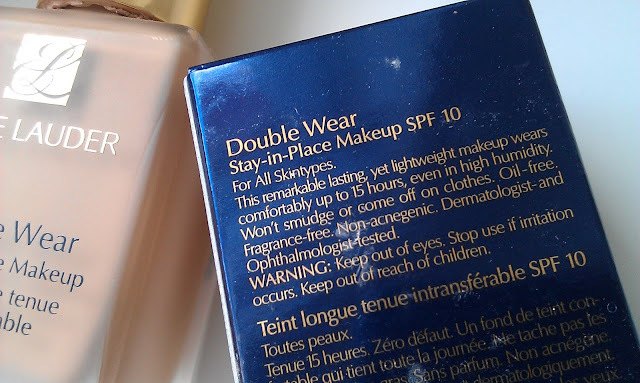 Have you tried double wear? Let me know what you think? Paula buy a MAC pump, I did and it fits perfectly!! I think I only paid £3.50 for it on the Debenhams website. It seriously makes things so much easier. I took the plunge with double wear last Autumn and have never gone back. It's amazing, especially for a night out or a long day in work. It stays put all day and looks great. Thanks Elaine, I bought a pump yesterday. 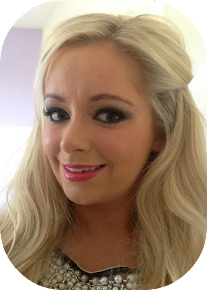 Love your blog: great write up!